WE don’t expect Australia’s public health system to rely on doctors working for free. So why do we expect our legal safety net to rely on the goodwill of lawyers who do pro bono work? Pro bono, broadly speaking, is work done for free or without expectation of a fee, for the public good. The often poor reputation of lawyers belies their proud and long-standing commitment to this work. It’s easy to understand, in tight financial times, why governments look to pro bono to address the growing crisis in access to justice in Australia. Why not ask rich lawyers to do more? Leaving aside the ethics of justice relying on charity, the practical answer to this question is simple. Pro bono cannot meet the demand. There are gaping holes in Australia’s legal safety net. The Australian legal profession has one of the world’s strongest pro bono cultures. Recent survey results from the National Pro Bono Resource Centre and the National Association of Community Legal Centres highlight this. Pro bono work at 36 of the nation’s largest law firms equates to 191 lawyers working for free full-time for a year. Based on these figures, pro bono perhaps adds an extra 7 to 8 per cent to the capacity of free legal services assisting individuals who cannot afford a lawyer. This is acutely reflected in family law. If you need family law help but cannot afford $200 to $600 an hour for a private lawyer, where do you turn? The final factor is expertise. The reason many law firms concentrate pro bono practices in not-for-profits is because it’s a better fit for their expertise. Community legal centres provide free advice but typically don’t have the resources to provide ongoing help. The survey results tracked the most common areas of law pro bono couldn’t assist with. Family law was at the top of the list. The result? About 30 per cent of people represent themselves in family law hearings. About 30 per cent of people represent themselves in family law hearings. They show that while employment law is the No 1 area where pro bono is provided, it is second on the list behind family law for rejected applications for assistance. In other words, while there is expertise, there simply isn’t enough capacity. The Victorian community legal centre Jobwatch advises more than 7000 people a year on employment law issues but misses about 55 per cent of calls due to inadequate funding. 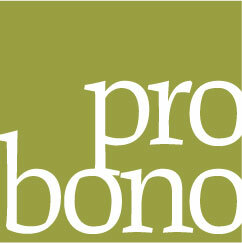 Pro bono lawyers make an important contribution to access to justice. Initiatives such as the Queensland, NSW and Victorian governments’ reforms to allow lawyers working in companies to do pro bono work, and the commonwealth and Victorian governments’ pro bono requirements for firms which tender to provide their legal services, should be commended.